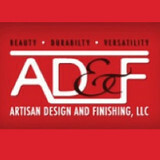 Artisan Design & Finishing, LLC provides experienced decorative solutions including diamond concrete polishing, skim coats, self leveling overlays, custom countertops, sinks, tables and architectural elements. We bring 18 years of remodeling experience, and 12 years of experience restoring and installing concrete for all types of residential and commercial properties in the greater Madison metropolitan area. Our extensive experience allows us to offer a wide variety of installation services. Whether you need a new cement counter top, pool deck, patio or flooring inside your home or commercial property, our portfolio is a record of proven results. Welcome to the Hahn Quarry Products, Inc. Houzz site. We quarry and shape Galena Stone dolomitic limestone (CaMg(CO3)2 + traces) for architectural (e.g. buildings and homes) and landscape projects. Inside you will find scores of photo examples of our stone installed on actual buildings and in real landscapes. We encourage you to browse around the site to get a feel for how our real stone looks installed. If you are interested or need more information, email or give us a call (815.777.8907). We can arrange for delivery or you can pick it up. You can install it yourself or hire a pro. Thanks for the opportunity. 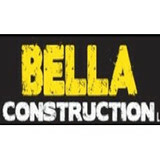 Leading concrete supplier and contractor in the Madison, Wisconsin area. We have been proudly serving Lodi and the surrounding communities since 1969. Our employees are some of the most dedicated and knowledgeable in the business. Our promise to you is professional and exceptional craftsmanship! Brickworks specializes in all applications of natural, cultured stone and brick. Whether you are a builder or home owner looking for the installation of natural stone or brick veneer on the front of your house Brickworks Masonry would like to bid your job. We offer the best concrete services in the area! Call us today to learn more about the services we provide! Most people consider concrete a pretty gray subject. The team at Hottmann Construction Company leads the industry for one reason…. Innovation. As a concrete sub-contractor, Hottmann construction has proudly served south central Wisconsin for 60 years. We provide our clients with innovative solutions through reliable products and services. “Innovation, we pour it on.” Our companies beginning dates back to 1948 when Jim’s father Marvin Hottmann and his brother Harvey started in the concrete business doing concrete farm silos. Together they grew the business to included residential and commercial concrete projects.They started out in Middleton, WI and then moved to Madison in 1958. For over 40 years, Jensen Poured Walls, Inc. has been proudly serving Columbus, WI and the surrounding areas. 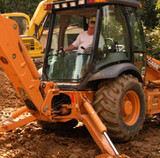 We specialize in reliable and high quality concrete services for residential locations. From retaining walls to concrete foundations, we are ready to help you with your concrete needs today. From installing new exterior columns to repairing your chimney, masonry contractors can help you add both visual appeal and value to your property. They’ll know what kind of installation makes the most sense for your Middleton, WI climate and regional style. Looking for something that will develop a patina with time? Or would you rather have your home feel brand new for years to come? Choosing the right kind of stone involves thinking about the future, too. Experienced brick suppliers and stone suppliers can help you find the material that will work for your home now and for years to come. These professionals aren’t limited to exterior work either. Whether you want a split-stone granite wall in the kitchen or need help installing traditional brick masonry on your fireplace facade, you’ll want a professional to get it right. If you’re already working with an architect or designer, he or she may be able to suggest a good Middleton, WI subcontractor to help out. Here are some related professionals and vendors to complement the work of stone, pavers & concrete: Landscape Architects & Landscape Designers, Architects & Building Designers, Garden & Landscape Supplies, Driveways & Paving, Siding & Exteriors. Find stone, paver and concrete professionals on Houzz. 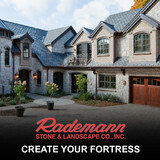 Search the Houzz Professionals section for Middleton, WI stone, paver and concrete professionals. Browse photos and read reviews, and contact a pro if you like their work.